VANCOUVER, Wash. - Visit Vancouver USA has announced the recipients of the ninth annual Clark County Tourism Awards. The awards honor individuals and organizations that have made considerable contributions to tourism in Clark County. "Tourism continues to grow as an economic driver for Clark County, and this year&apos;s Tourism Award recipients truly showcase why visitors are choosing Vancouver USA as both a business and leisure travel destination," said Kim Bennett, president and CEO of Visit Vancouver USA. "Our 2015 award winners have helped grow our community through their innovation and leadership, and we&apos;re proud to have them representing our destination with passion and enthusiasm." 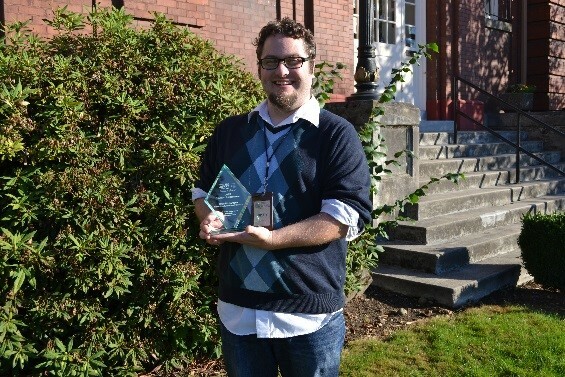 The Tourism Ambassador Award - As a museum curator at the Clark County Historical Museum, Bradley Richardson is the front-line contact for many visitors exploring the museum. Brad also leads a series of historical walking tours in Vancouver USA in which he takes visitors to famed local spots that are rich in history such as the Kiggins Theatre and the Slocum House. His enthusiasm for local history has also made the museum&apos;s Haunted Walking Tours a sell-out event that locals and visitors alike look forward to each year. His knowledge of Vancouver, past and present, gives each individual he interacts with, a memorable experience of the city we love so much! The Outstanding Tourism Professional Award - Alison Hite is known in the hospitality community for her passion and enthusiasm for tourism. 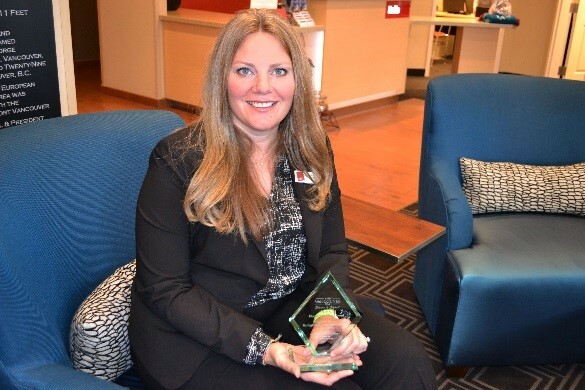 As the General Manager for SpringHill Suites by Marriott and the newly constructed TownePlace Suites by Marriott, Alison recognizes new opportunities for growth in the community. Alison previously served on the Board of Directors for Visit Vancouver USA and continues to work with Vancouver USA&apos;s Business Development team to bring new business to Clark County in the form of group sales. Alison also works with Vancouver USA Sports on retaining sports business in the area and attracting new events. Alison&apos;s dedication to bringing visitors to Vancouver USA continues to assist in driving positive economic impact within our community. 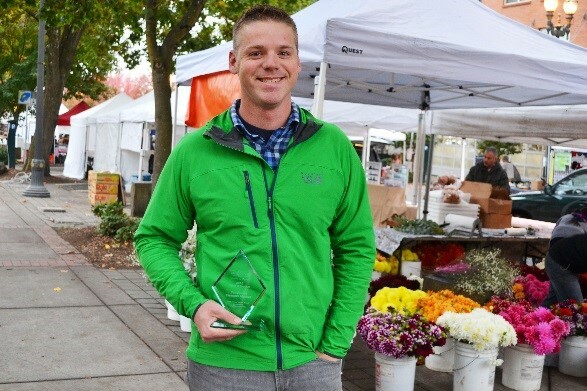 The Spirit of Tourism Award - The Vancouver Farmers Market has brought hundreds of thousands of visitors & locals into the downtown core of Vancouver USA over the years, and continues to expand. This past Summer, the market also opened a location on the East side of Vancouver, and will continue to host the Harvest Market in November, and the Holiday Market which will coincide with the Annual Festival of the Trees. Offering fresh produce, flowers, food items, and other artisanal wonders, the market continues to be the ideal weekend gathering place for the community, and the perfect place for visitors to discover the culture and flavor of Vancouver USA! Local chambers of commerce co-sponsored the awards and solicited nominations from their members. Sponsoring organizations include the Greater Vancouver Chamber of Commerce, the Battle Ground Chamber of Commerce and the Camas-Washougal Chamber of Commerce. The City of Vancouver, Clark County and the Clark County Lodging Association also supported the awards. To learn more about the tourism industry and the 2015 Clark County Tourism Award Winners, please visit www.VisitVancouverUSA.com. All photos below are courtesy of Visit Vancouver USA.